The NHS he cannot save. Privatised to serve the rich. In the growing profits quest. And to hell with the sick and poor. But you ain’t seen nothing yet! April 1st 2013 will go down as a dark day in the history of the Welfare State, not only and very depressingly, did the Health and Social Care Act become law but yet another avalanche of benefit cuts were brought into effect. This is despite the prolonged and persistent lobbying and protests by disability groups calling for the govt to assess the impact of its benefit cuts along with the UK’s leading experts on social policy and the welfare state urging the government to reconsider. And, staggeringly, at the same time, those with an income of over £150,000 per annum will see their tax rate reduced from 50% to 45%. Anyone who believed the Government’s rhetoric that “those with the broadest shoulders should carry the greatest burden” could be forgiven for thinking that all this an April Fools prank. This week also saw the conviction of 3 people for the manslaughter of 6 children. The death of any child is a tragic and emotive issue, the judge described the act as “outside the comprehension of any right-thinking person” yet George Osborne and his fellow government ministers seem hell bent on using this tragedy to justify their policies of welfare reform / cuts. We have seen both the government and the media suggest and imply that the perpetuators of this evil crime are “a vile product of Welfare UK”. George Osborne has questioned why the Welfare State subsidises such people with the underlying suggestion that “living off benefits” somehow turns a person into an abhorrent scumbag. That suggestion is in itself abhorrent. The fact is the small percentage of evil people that commit such atrocities come from all walks of life, are both rich and poor, employed and unemployed. We are led to believe there is a massive problem with people who have never worked having multitudes of children to boost their benefits. However this is simply untrue. Only 4% of families with a parent on Jobseeker’s Allowance have more than two children and only 1.5 per cent of those on benefits have never worked. The extreme cases as highlighted by the court case are even rarer; out of the 1.35 million households where one of the adults is claiming out of work benefit, only 190 of those families have 10 or more children. The question should be turned back on George Osborne and we should ask why the government does not put all its efforts into catching those who defraud the system. Official figures show that 0.8% of benefit spending is due to fraud. So why are the 99.2% in receipt of assistance from the State being portrayed in some parts of the media – with full knowledge and acceptance of the government – as “scroungers and skivers”. Good people, who through no fault of their own require support, are being demonised and scapegoated whilst it is highly probable that a minuscule minority continue to defraud the system. The government should of course go after those who commit fraud and while they are it, they should also close down the loopholes that allow corporate giants and individuals to avoid paying tax which is estimated by some to be around £25 billion a year and by others to be £70 billion while some state it to be closer to £100 billion. Whatever the exact figure is, it is blatantly clear that there are alternatives to hammering those who have the least. We all need to ask ourselves the kind of society we want to live within. The Welfare State should be considered as an insurance scheme which was set up without incentives to make a profit. All who can contribute, do so at a progressive rate and it is something that is there for all of us whenever we need it. Public services run along the same lines (or rather most used to before the influx of outsourcing!). Make no mistake it is highly unlikely that anyone in this country has not been reliant upon or received the benefits both offer; from Child benefits to the NHS; libraries to refuse collection; education to state pensions. Are we prepared to throw all this away so a small minority can prosper? This week we have also learnt that the government are coming after the National Minimum Wage. In 2008, a senior Tory source said: “The minimum wage won’t be scrapped but it will be allowed to wither on the vine. A series of smaller, more affordable increases will mean it will just melt away.” This seems to becoming to fruition with government ministers hinting that the national minimum wage could be held back from rising due to difficult economic circumstances. Click here to sign the petition to protect the minimum wage. 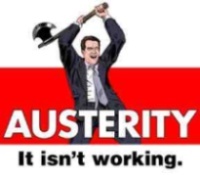 In one way or another we are all being affected by the savage policies of austerity, directly or indirectly. 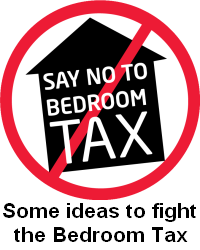 Of course the natural tendency is to fight your own corner but now, more than ever before, we must all come together in solidarity to oppose all the cuts irrespective of whether we are directly affected, which groups we belong to or individual political beliefs. We must organise and resist in whatever way we can. Online, offline, inform, educate, write to your MP, petition, leaflet, take direct action, partake in civil disobedience, strike and occupy. This is not only a metaphorical life and death struggle; people are dying as a direct result of the actions of this government. Resist, resist and then resist some more. Click here for more information about The People’s Assembly being held on Saturday 22 June 2013, 9:30am – 5pm at Central Hall Westminster, Storey’s Gate, London, Westminster, London SW1H 9NH. Click here to sign the War on Welfare petition. Click here to view Francesca’s full article “Hands off our Public Services” at Huffington Post UK. No, we’re not seeking divine help (just yet) over Jeremy Hunt’s new NHS competition regulations, but ‘praying against’ them could be a good way of getting them exposed in Parliament. As things stand, the new regulations count as secondary legislation, which means they need no further debate in Parliament. They’ll come into law on 1 April, and competition for NHS contracts will suddenly become the default in most cases. This is despite many promises to the contrary given by the government when the Bill was debated last year. 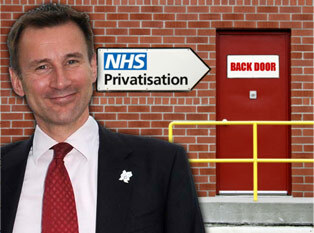 Jeremy Hunt is using Parliamentary procedure to sneak privatisation in by the back door. However, MPs from three parties, including Labour Shadow Health Secretary Andy Burnham, the Greens’ Caroline Lucas and Lib Dem NHS rebel Andrew George (see a list of current signatories) have backed a motion to “pray against” the regulation. This special form of Early Day Motion is a rarely used piece of Parliamentary jargon, which basically means they’re opening a kind of petition for other MPs to sign, calling for the secondary legislation to be struck out. If enough MPs can be persuaded to join them in praying against the regulations, the motion’s special status makes it more likely that Parliamentary time will be secured to debate it. There are signs today that Jeremy Hunt is coming under pressure over this. But we need to keep the pressure up, if we’re going to secure any real changes here. This motion could be a good chance to get the scrutiny that the government are trying hard to avoid. Please ask your MP to help pray against back door NHS privatisation now. Click here to visit the Going to Work website page, enter your postcode and click “Participate” to send an email to your MP. The newly founded NHA (National Health Action) Party held an event, on Sunday 17th February to support their candidate for the Eastleigh by-election that has been called for February 28th following the dismissal of ex-Govt minister Chris Huhne. Supporters of the NHS and NHA Party met at 11 am at Eastleigh railway station and armed with white rosettes (swiftly changed from blue as during the previous week, campaigners were being mistaken for the know who party! ), balloons, banners, and leaflets. The group of over 40 campaigners handed out leaflets whilst walking from the train station to the band stand in the town centre where they listened to several speakers, including their candidate, 55 year old Dr Iain Maclennan, a retired GP, public health consultant and ex-Navy medical officer, who, if elected, promised to defend the NHS, represent his constituents and not blindly follow political party whips. Other local health professionals mentioned how previous governments have sold off our NHS and that the current govt’s cuts to the NHS budgets were already being felt within hospitals and would only get worse. It was emphasised that the NHS is not only about providing health care, its values are the corner stone of our society and people should always be put before profits. It was also explained that although the Health and Social Care Act has been both promoted and fought as a national issue, it is also part of the preparation for a corporate-interest US/EU Free Trade Agreement and forces EU member states to open their procurement not just to other Member States, as directives up to now have encouraged, but globally to corporations from any country that has liberalised its own procurement, disallowing any other barriers to global bidding (click here for more details). Firstly, our clear and unambiguous position on the NHS (saving it; reinstating; de-commercialising it). Secondly, we are calling for a new politics – promoting the idea of independent MPs and a parliament that is responsive to the people – not to party whips and the cynical calculations of career politicians. Thirdly, in addition to the NHS, we stand as a public health party with a wider concern for a healthy society. Not just the pursuit of economic growth as the basis for all social policy.